Current national data reports that anywhere between 2%–8% of criminal defendants plead guilty to crimes they did not actually commit. A rational reaction to these figures is why would anyone plead guilty to a crime when they know that they are innocent? However, there are a number of systemic pressures that have contributed to this aberrational statistic, including, but not limited to: (a) cash bail, (b) legislative sentencing regimes, (c) an accused’s lack of discovery during the plea bargaining process, and (d) a shortage of funding for court systems. To put these statistics into a better perspective, as it stands, roughly 2.2 million people are incarcerated across the nation. Of those 2.2 million, approximately 95% of those currently in prison – across state and federal courts – had their case disposed of through a plea deal. Therefore, anywhere from around 41,800 (on the low-end) and up to 167,200 (on the high-end) of people accused of crimes plead guilty even though they are factually innocent. The fact that anyone – let alone tens of thousands – plead guilty to crimes they did not commit is antithetical to free democracy and contrary the values envisioned in our Constitution. In order to help put an end to this repugnant reality, Senior Partner Lew Tesser has been appointed by NYCLA’s Justice Center to chair a Plea Bargaining Task Force. The Task Force’s mission is to propose solutions to New York decision-makers that will reduce the incidence of innocent people pleading guilty in New York City’s state and federal courts. This Plea Bargaining Task Force will look to ameliorate this troubling phenomenon in the New York Metropolitan area, although the hope is that the final report will inform a number of other jurisdictions across the nation, across both the state and federal spectrums. The Task Force has well over 50 members, who comprise a diverse range of legal minds, from leading prosecutors and defense attorneys, to judges and academics. Partners Greg Ryan and Irwin Rochman, both of whom have extensive criminal defense experience are also on the Task Force. And, our young lawyers Randall Tesser, Jackson Kerr (pending admission), and Colyn Eppes (pending admission) are serving as administrative secretaries. Randall T. Tesser is an Associate Attorney at Tesser, Ryan & Rochman. 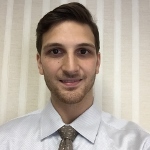 Mr. Tesser obtained a Juris Doctor from the Benjamin N. Cardozo School of Law in 2017, and a Bachelor's degree in Political Science from Tufts University.